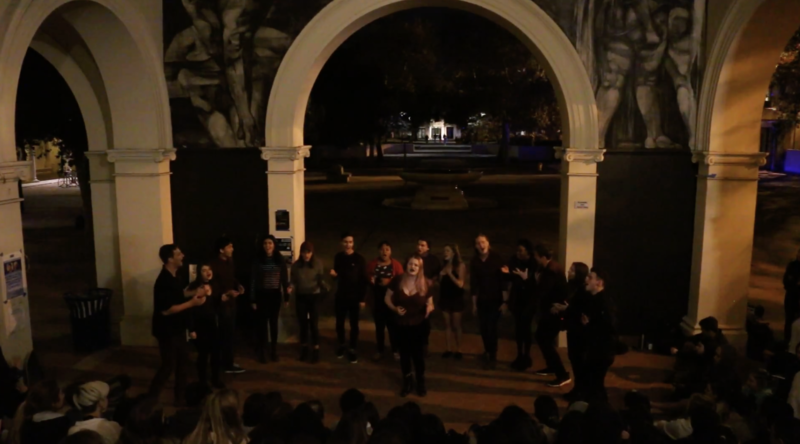 The Claremont Shades Serve Up Sweet Vocal Magic With Eryn Allen Kane's "Slipping"
The Claremont Shades have just rocketed to the top of our list for best easy listening a cappella performances with their recent video of Eryn Allen Kane's "Slipping." The coed vocal group is so easy on the ears as they showoff warm tones and lush chords through Kane's 2015 soulful track. It's as if the audience is treated to a jazzy lullaby that soothes the soul. Soloist Camille Croll's voice is incredibly on-point, sometimes emphasizing power and other times delivering sweet ear candy with her colorful runs. And the Shades back her so effortlessly creating one of the most impressive musical atmospheres we've heard in quite some time. This is a performance that can be enjoyed over and over again.